Ancestors Legacy is a step in a new direction for Polish studio Destructive Creations, whose previous creations include Hatred, a title which caused quite a stir on Steam in 2015. Hatred was posted on Steam’s Greenlight section, which allowed users to vote on whether or not the title should end up being sold. Within three hours the game was removed, although the next day it was put back up with an apology written to Destructive Creations. 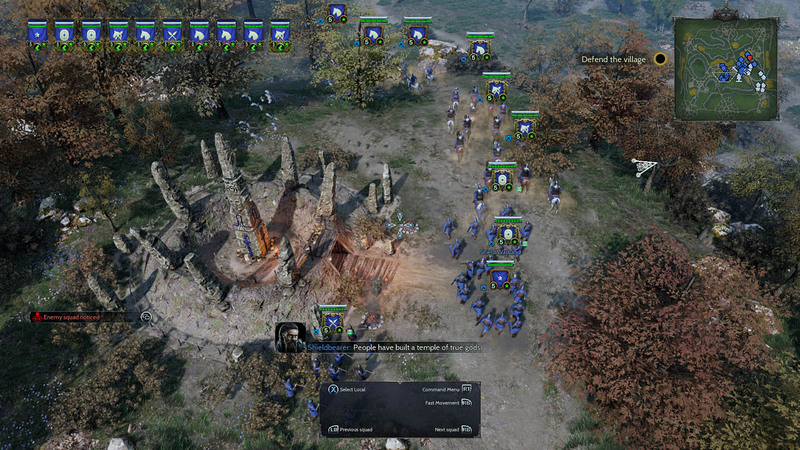 Ancestors Legacy has moved away from the shooting style of Hatred and into the RTS scene. It’s based on many real scenarios from the Middle Ages. While the gameplay genre may have shifted, what hasn’t changed is Destructive Creations upholding their violent and bloody themes. On the day of Ancestors Legacy’s release, the studio tweeted, “We are Destructive Creations. Our games are violent and bloody. All we want, is to give it a purpose. We want it to mean something - a good time. So much and so little. Ancestors Legacy is now live on Steam. We wish you good time with the game.” While it’s yet to be seen if Destructive Creations will continue to build their name in the RTS genre, one thing is apparent: what they’ve created is nothing if not a must-play for any avid RTS player. There are many little things that make Ancestors Legacy a title that can be enjoyed for some time to come. The intricacies found in the graphics are remarkable. The maps themselves are beautifully rendered and, in addition to that, the quality of your squadrons is highly impressive. While zooming in to watch them fight, you might forget for a moment that you’re engaged in strategic combat, and instead find yourself wondering if you’re playing some other kind of game altogether. Destructive Creations stated that the gameplay is highly focused on combat and, in order to be successful, you will need to cleverly manage your squadrons and be focused on strategy. They weren’t lying. This is not the kind of title to play if your only strategy is to build your empire as big as possible and hope to overwhelm the other team or AI. While many of the basics of Ancestors Legacy are similar to other RTS titles, there are a few things found in this entry that could be seen as drawbacks. While strategizing is very important, so is keeping in mind your limitations. The squadrons you enlist are limited, so if you’re not mindful of what you’re creating and when, you could limit your chances at success. Furthermore, the buildings you’re able to build have predetermined locations and you’re unable to alter those locations. Ancestors Legacy has a few modes available. First is the solo campaign mode. This allows you to follow the unique storylines created with as much historical accuracy as the studio could come up with. In the solo mode you’re working towards an end goal, and oftentimes there are objectives that you need to accomplish along the way. These objectives can be necessary to the completion of the goal, or they can be optional. The multiplayer mode is where Ancestors Legacy really seems to shine. Not only do you get the amazing graphics, high strategy, and combat focus, but you also get to pit your skills against other players or the AI. At Ancestors Legacy’s launch, it was a bit difficult to find other players to compete against, but as the title gains popularity, the multiplayer scene is only going to grow with it. An added benefit to multiplayer mode is the variety of options available to alter how the match starts and how it’s won. Overall, Ancestors Legacy isn’t insanely different from other popular RTS entries out there. What it does have are a lot of interesting and unique options and gameplay strengths that will make it a popular choice for those RTS players that hold strategy and planning higher than overwhelming enemies by sheer force. The graphics, gameplay, and multiplayer modes make this title a successful first expedition into the RTS genre for Destructive Creations.